Moisture sensitive devices (MSD) utilized in Surface Mount Technology (SMT) requires special handling and protection during transport and storage to control damaging moisture and assure reliability and integrity. Typically the MSD are packed in a moisture barrier bag (MBB) with a moisture-sensitive caution label affixed on the outside. Inside with the devices are desiccant pack and a humidity indicator card (HIC) which provides the history of the dry pack environment. Until recently, Type 1 HIC are the common and traditional types found on the market. These type 1 cards are reversible which means they will indicate moisture exposure with temporary color change that can be reversed or reset by returning to a dry state. The typical HIC offered on the market contains reversible indicators that reflect current conditions. But in some instances, if the package contents, including the humidity indicator card, were improperly handled and exposed to high humidity levels, but then returned to a dry environment before the card is checked, the exposure could go unnoticed as the card reverses back to a dry reading. 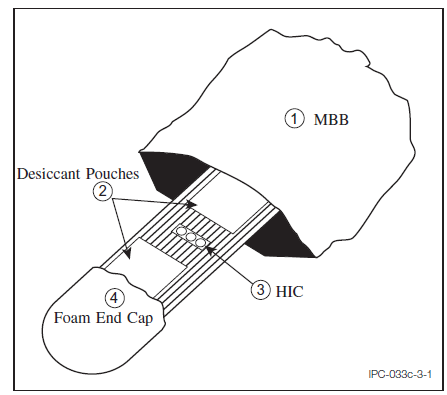 As a result, surface mount devices could have the potential of entering production even though they may have been compromised by moisture.So if the MSD were exposed to 60%RH for long periods of time, the end user would never know because the HIC were reversed back to a dry reading state. 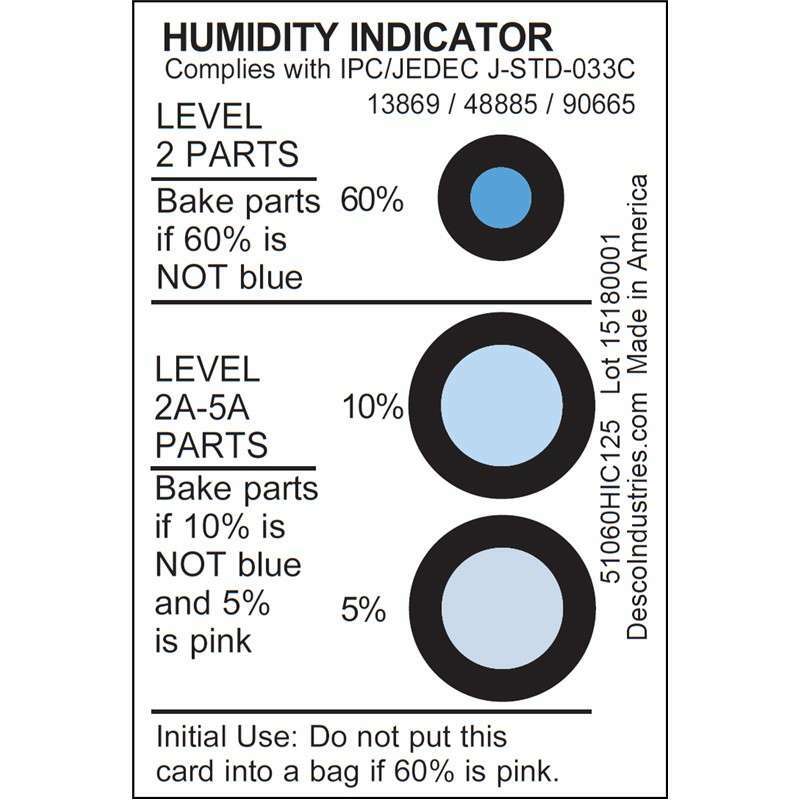 The IPC/JEDEC J-Std-033D revision in April of 2018 addressed specifically the use of reversible humidity indicator cards. 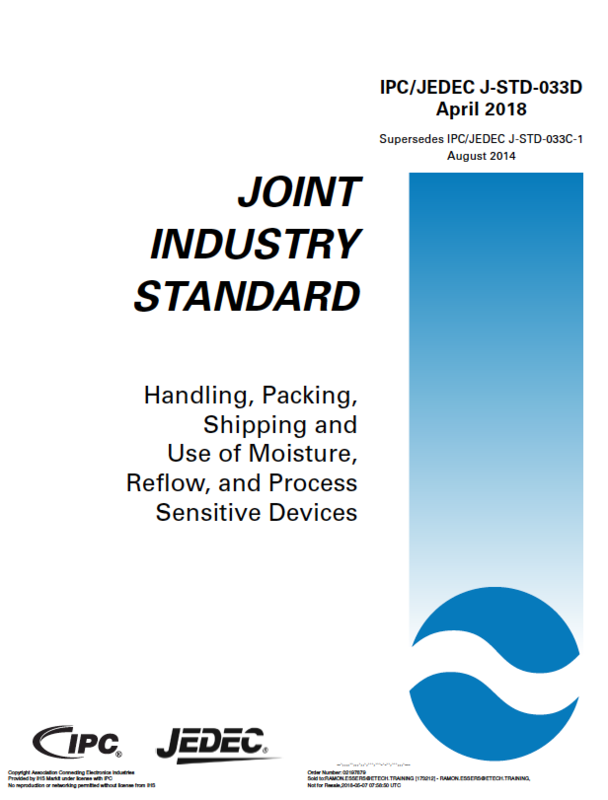 Until this recent revision, manufacturers that utilizes reflowable surface mount devices have had minimal choice in the HIC used inside moisture barrier bag packages governed by the J-STD-033 standard. 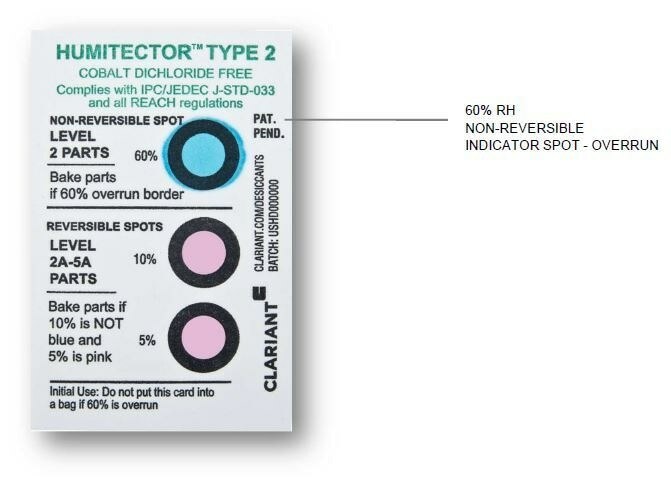 The new Type 2 humidity indicator cards are non-reversible if the card has been exposed to 60%RH for extended period of time causing the color indicator to overrun the black border. Although management in proper handling and storage of moisture sensitive device (MSD) is a small part of the whole manufacturing processes, the effect of moisture damage will cause significant impact on product quality and reliability. Moisture damage is not easily observed but the result will directly impact quality of production. That is why EMS industries are focusing more on MSD storage and processing in order to produce quality to meet the OEM client's needs. Eureka's SMT dry cabinets is available in various sizes and moisture control capabilities. Our XDC and SDC series Fast Super Dryer SMT Dry Cabinets provides the most suitable storage environments for PCB and other moisture sensitive material in the assembly floor. Ensure your production line is protected from moisture and increase the yield & quality of your products with Eureka's ultra low humidity SMT Dry Cabinets today. For more details and specs about Eureka's products, please click on the links below. For more information on how Eureka can assist in solving moisture problems in your production, click on the following links.